About "Center of dilation outside the image"
The center of dilation can be inside or outside the original image and the dilated image. The center of dilation can be anywhere on the coordinate plane as long as the lines that connect each pair of corresponding vertices between the original and dilated image intersect at the center of dilation. 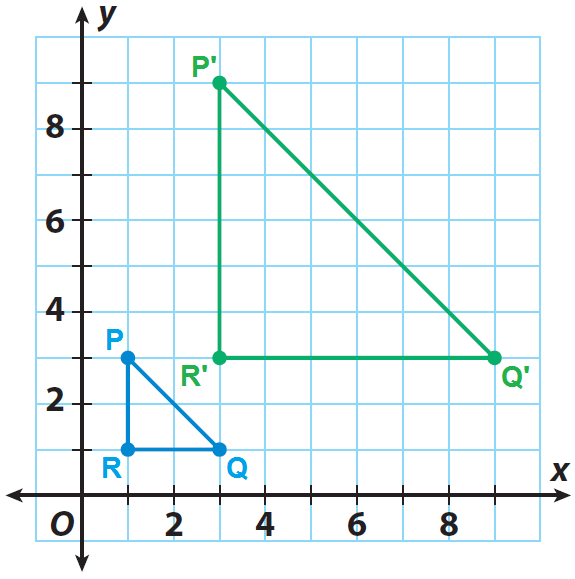 The triangle PQR shown on the grid is the pre-image. 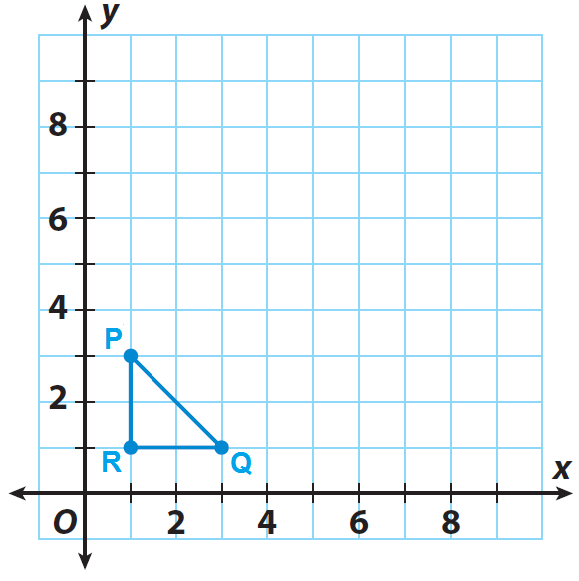 If the center of dilation is the origin and the scale factor is 3, graph the dilated image P'Q'R'. List the coordinates of the vertices of the pre image. 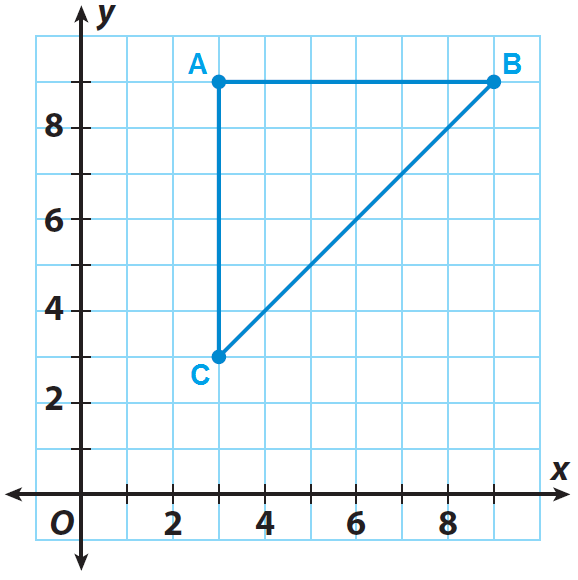 List the coordinates of the vertices of the image. The triangle ABC shown on the grid is the pre-image. 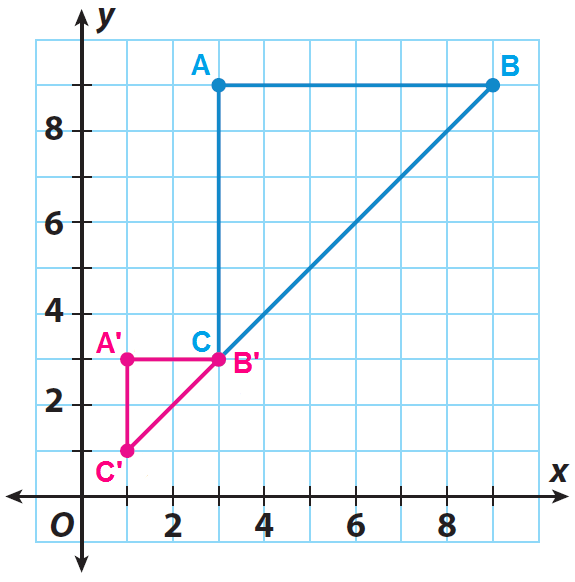 If the center of dilation is the origin and the scale factor is 1/3, graph the dilated image A'B'C'. 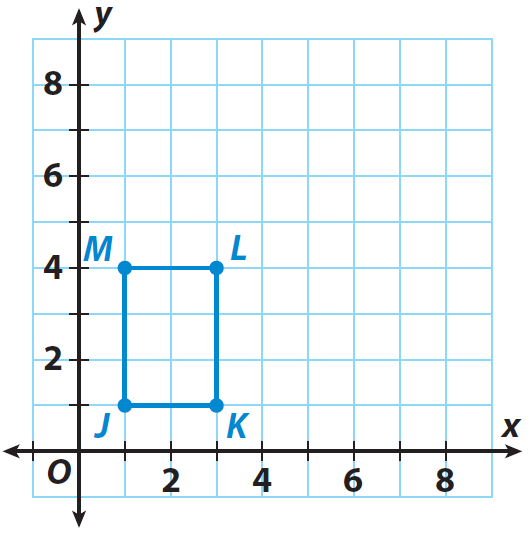 The rectangle JKLM shown on the grid is the pre-image. 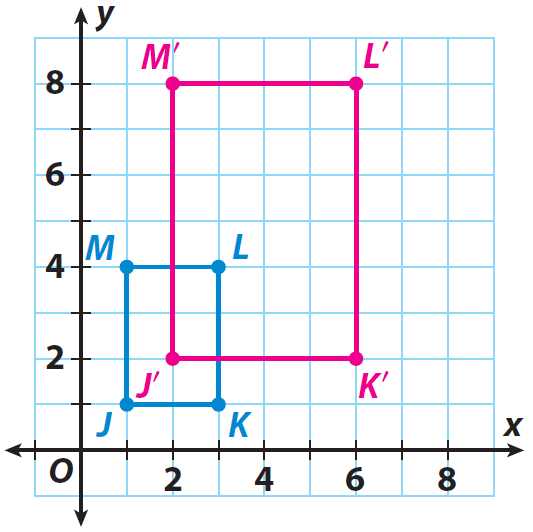 If the center of dilation is the origin and the scale factor is 2, graph the dilated image J'K'L'M'. After having gone through the stuff given above, we hope that the students would have understood "Center of dilation outside the image".